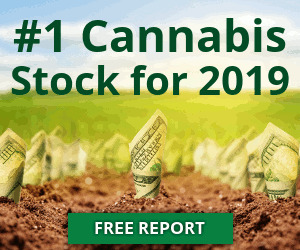 Moving -7.86% from the most recent open, shares of Otonomy, Inc. (NASDAQ:OTIC) have landed on investor watchlists as the latest bid puts the equity at $2.58. Investors interested in stocks under $5 have given this stock a second look over the past few weeks. The average investor might not have the time to monitor every single tick of a given stock, but taking a look at historical performance may help provide some valuable insight on where the stock may be trending in the future. Over the past week, Otonomy, Inc. (NASDAQ:OTIC) has performed -8.83%. For the past month, shares are -11.34%. Over the last quarter, shares have performed 27.72%. Looking back further, Otonomy, Inc. stock has been 7.50% over the last six months, and 39.46% since the start of the calendar year. For the past full year, shares are -36.30%. There is rarely any substitute for diligent research, especially when it pertains to the equity markets. No matter what strategy an investor employs, keeping abreast of current market happenings is of the utmost importance. Everyone wants to see their stock picks soar, but the stark reality is that during a market wide sell-off, this may not be the case. Recently, shares of Otonomy, Inc. (NASDAQ:OTIC) have been seen trading -2.01% away from the 200-day moving average and 3.74% off the 50-day moving average. The stock is currently trading -46.80% away from the 52-week high and separated 72.00% from the 52-week low. Otonomy, Inc.’s RSI is presently sitting at 45.00.